It can use for multilayer winding, and one time can do 1-8pcs coil. It has lots of functions like can set changing groove automatically, winding beginning, slow start, slow stop, both sides stop, back to beginning and automatically start. 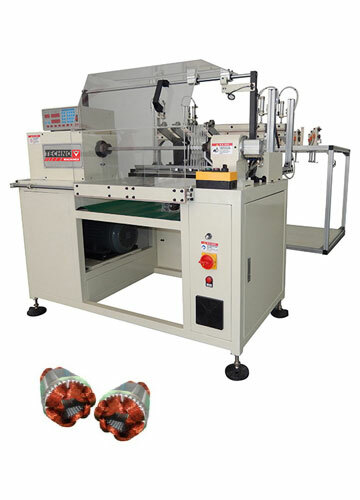 We will give one extra roller for changing, this machines suitable for motors of fan, pump, air condition, 3 phase etc.